I finally found the perfect source to purchase eggs, lucky me! A local friend of my daughter’s riding instructor has lots of chickens and way too many eggs for her and her husband to eat all by themselves. Their chickens are spoiled with an insulated chicken house and heating lamps, so they stay cozy during cold winter nights. The animals receive excellent feed, which you can see in the color of the dark yellow egg yolk and the extremely hard shell. I am now on the weekly egg delivery list and with my very first batch I made frittata; to be specific, kale frittata with fresh Parmesan cheese and spicy pepperoni. 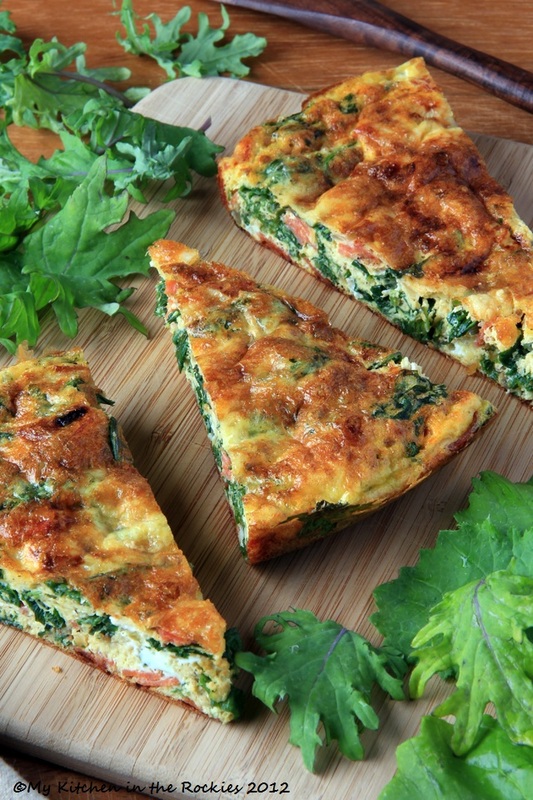 My family loves this kale frittata and they are always happy when they see it on the menu. It is simple and quick to prepare, but also a very healthy and hardy meal. Perfect for breakfast or dinner. Enjoy! Whisk all the eggs, 1½ tablespoons cheese, ¼ teaspoon salt, and ¼ teaspoon pepper in large bowl. Heat olive oil in medium nonstick broiler-proof skillet over medium heat. Add onion and sauté until tender but not brown, about 6 minutes. Add Kale/ Red chard in 3 batches; toss until each begins to wilt before adding next. Sprinkle with salt and pepper. Sauté until any liquid in skillet evaporates. Increase heat to medium-high; add salami and garlic to skillet and stir 1 minute. Add eggs to skillet; stir to distribute evenly. Reduce heat to medium-low, cover, and cook until eggs are almost set but still moist in center, about 4 minutes. Sprinkle remaining 1½ tablespoons cheese over top. Transfer frittata to broiler and cook just until set in center and beginning to brown, about 1 minute. Using flexible spatula, loosen frittata around edges. Slide frittata out onto platter. Serve warm or at room temperature. 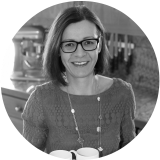 I’ve only recently discovered the super food kale and was looking for some recipe inspiration – so thank-you! I cooked up your lovely frittata for breakfast this morning – delicious! I’m in the infant stages of setting up my own healthy lifestyle blog. 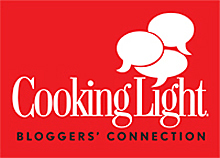 How would you feel if I did a featured post on this very recipe, giving you full credit and links back to your website? Perfect! Yes, I’ll stick to those guidelines. Thanks so much. Why do you choose coarse salt? Kerry, that’s what I usually have on hand. I am all over this for breakfast this weekend. I have so much kale in my garden and this would be the perfect way to use it! This looks like a delicious recipe! Is there an ingredient I can use instead of the cheese? I have several family members who are lactose intolerant and and I would love to make this recipe for them, dairy-free. i’ve been obsessed with kale lately–especially with my eggs in the morning. this looks like the perfect recipe for me. thank you for sharing! Oh, Yum, this sounds delicious!!!! Memorial Day weekend is very bust around here and I make all sorts of “fridge food” to heat in microwave as everybody comes and goes. I need to go get some kale but I have everything else and will try this tomorrow (Saturday)… Thanks for the new dish!!! What is the caloric/fat/sodium count for this dish? This was absolutely wonderful! My daughter has gestational diabetes and this was a wonderful use of all protein without carbs! I have made this frittata twice now, once with spicy salami and today with cherry tomatoes instead, and it has been amazing both times! Kale is so intimidating to cook with but this recipe is simple but wonderful. Thank you so much! All vegetarian with the tomatoes, LOVING IT!! I am very happy you like this recipe, too. You know, my teens are thrilled when this frittata is on the dinner menu. For me that says it all. This look wonderful…I find the more I eat healthy …the more I healthy I want….thanks for sharing….Send me the receipt….. I made this the other day (but in the oven) and it was fabulous. Thanks for the recipe! I want to try this in the oven since I really don’t have a pan that can go from stovetop to broiler. What temperature and how long did you bake this for? I really enjoyed this recipe, thanks. I did a bit of improv since I didn’t have any salami. Instead I diced some chorizo and sauteed that for a while, let it cool then added it to the egg mix along with the kale. I also sauteed small cubes of potato, in the same pan the chorizo was cooked in, and added 1tsp smoked paprika, before adding that too. I am not a Kale person; but, this looks great! Frittatas are very close to my heart… Potato frittata specially or “Tortilla Espanola” how my mother referred it by name. Deine Frittata sieht sehr lecker aus. Kannst du sagen was für eine Sorte Kohl du verwendest. Sieht ja anders aus, als unser Grünkohl. 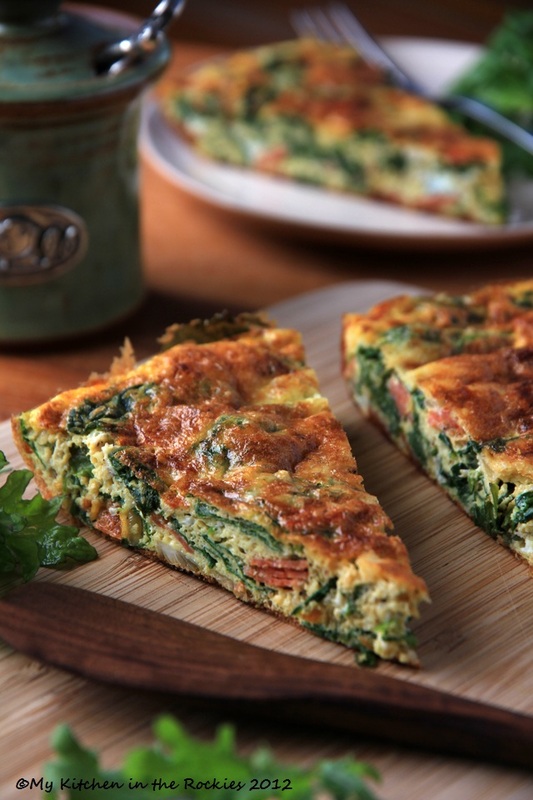 So healthy, and frittata looks so beautiful on your photos! This looks amazing… I can’t get enough of kale these days! So good. Great recipe, and beautifully photographed. I had my first fresh eggs about a year ago and couldn’t get over the difference. I have trouble finding them, though. absolutely stunning!… I want this NOW… really love the pictures… at first I thought there was smoked salmon in there, which would be lovely, but I see that it is indeed sausage, which is even better… gorgeous! 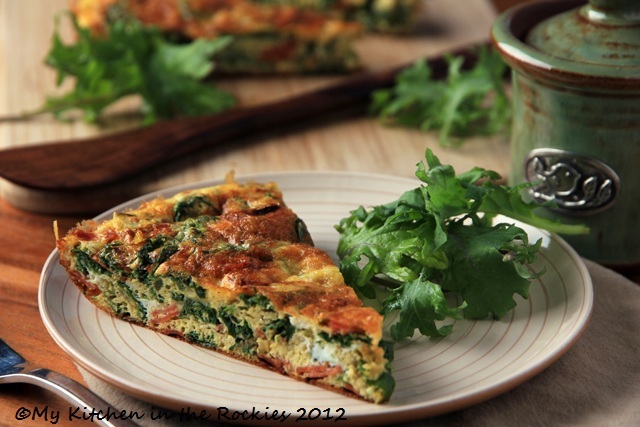 Kale Frittata – A healthy breakfast or dinner idea! Previous post: Let’s grab the Sauerbraten and RUN!